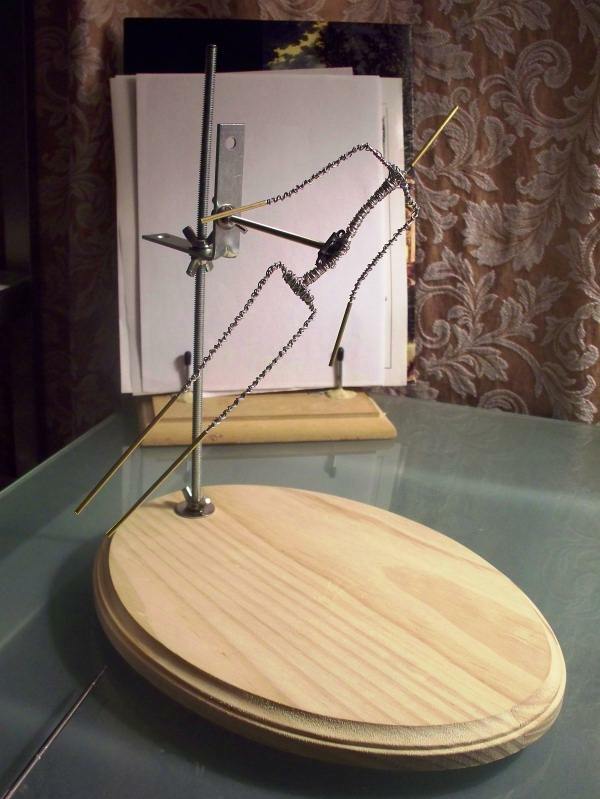 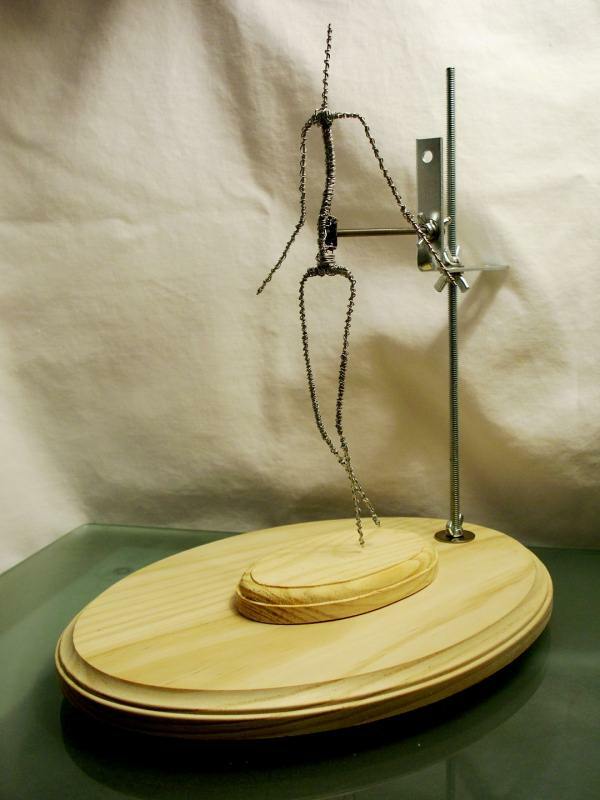 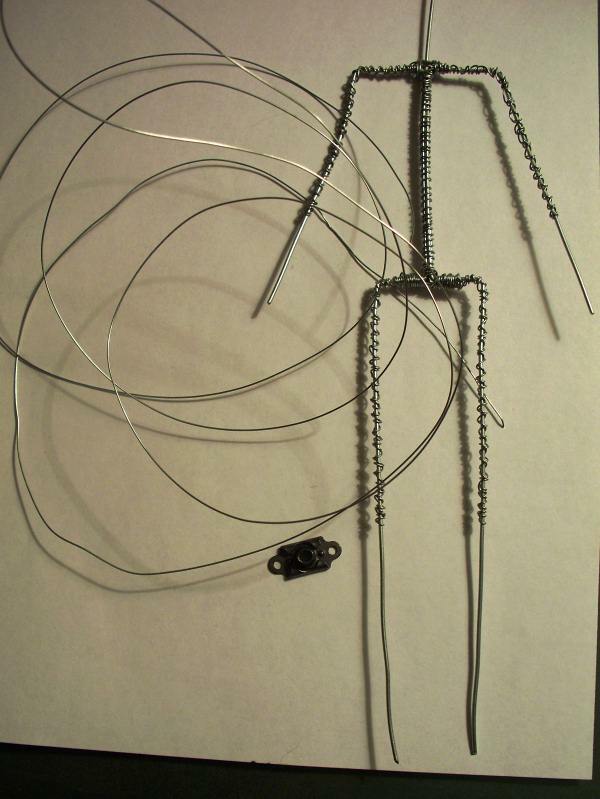 These are step-by-step instructions on how to make a Removable Armature for figures, sculptures, dolls and action figures in 1:12, 1:8 and 1:6 scale to use with the Screw-It Lock-It Hold-It Armature Stand, like you see on the picture just below. 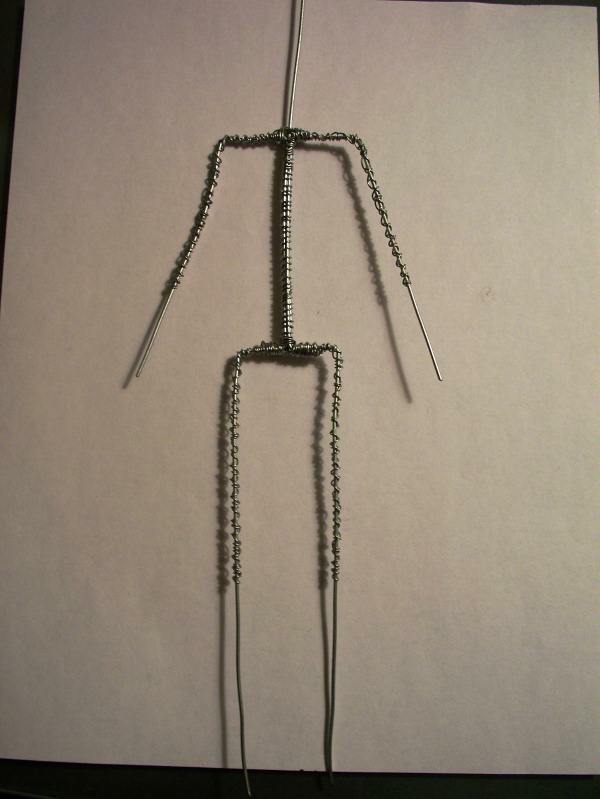 Almost all tools and materials are available for purchase at Morezmore Ebay Store. 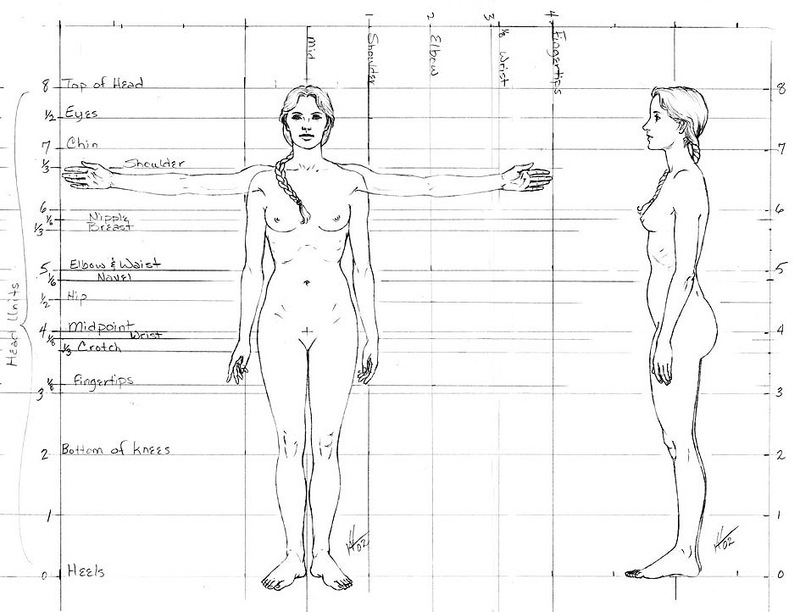 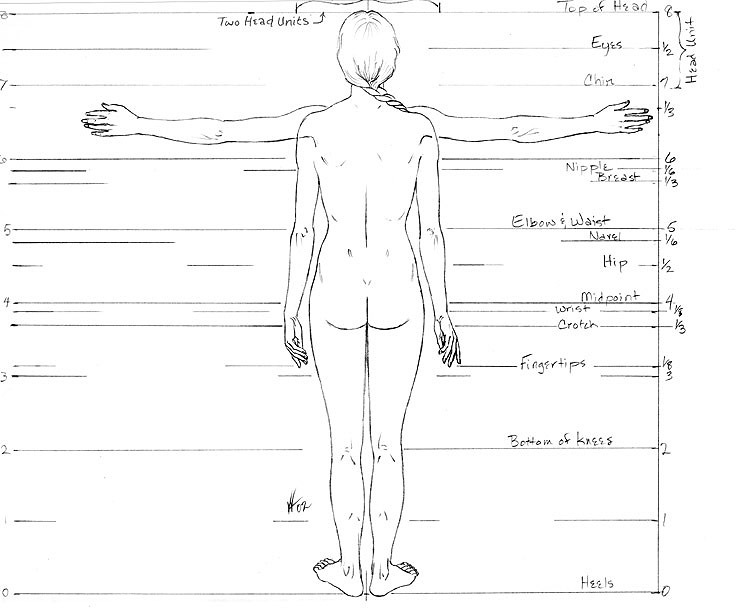 – Proportions image: There is a huge number of proportions charts on the internet: google “female proportions”. 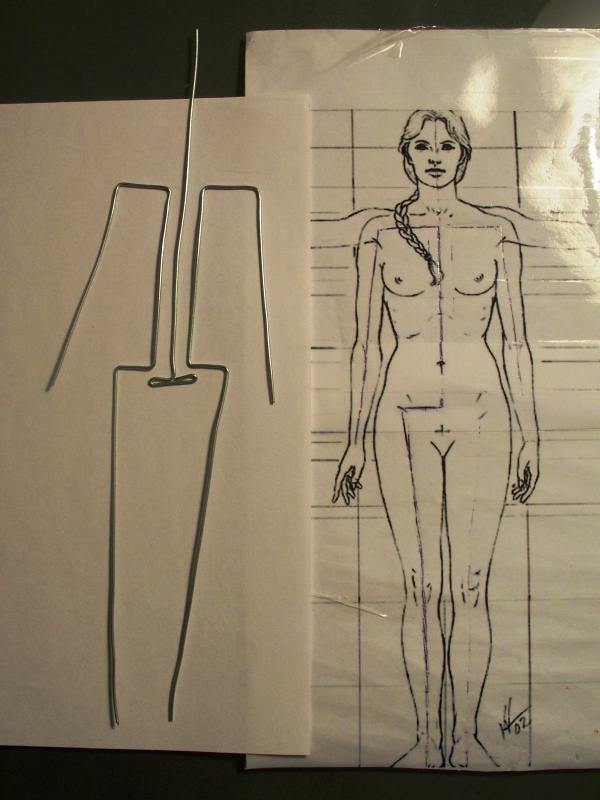 If you like the one I use (by Andrew Loomis) – here it is. 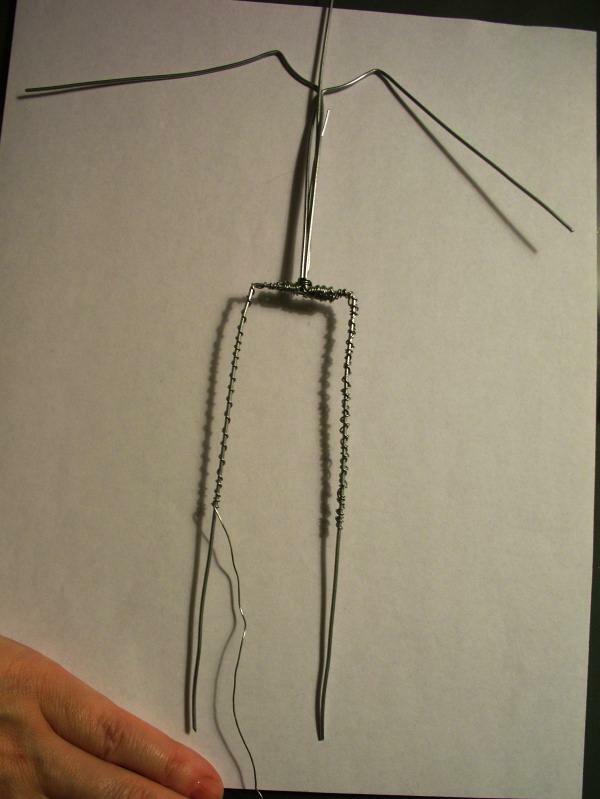 Click to enlarge and print. 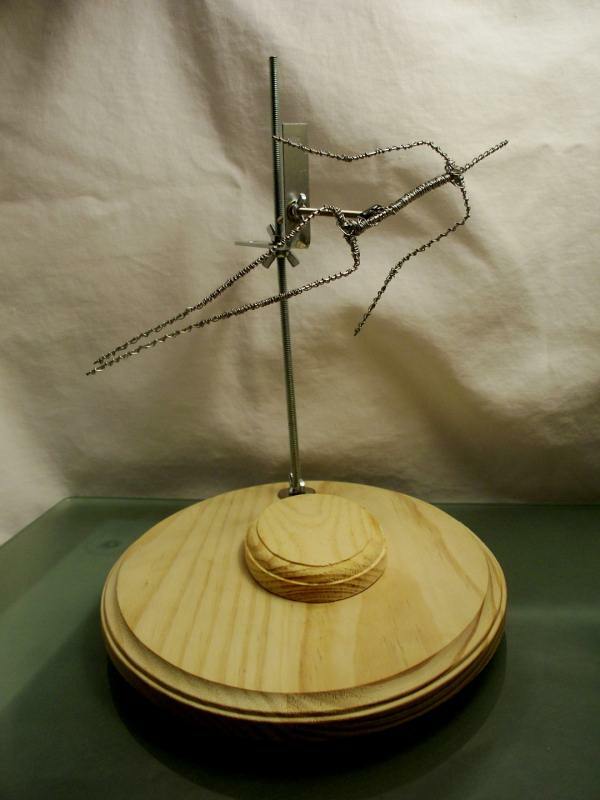 d) non-rotating with an oval 9″ x 12″ base. 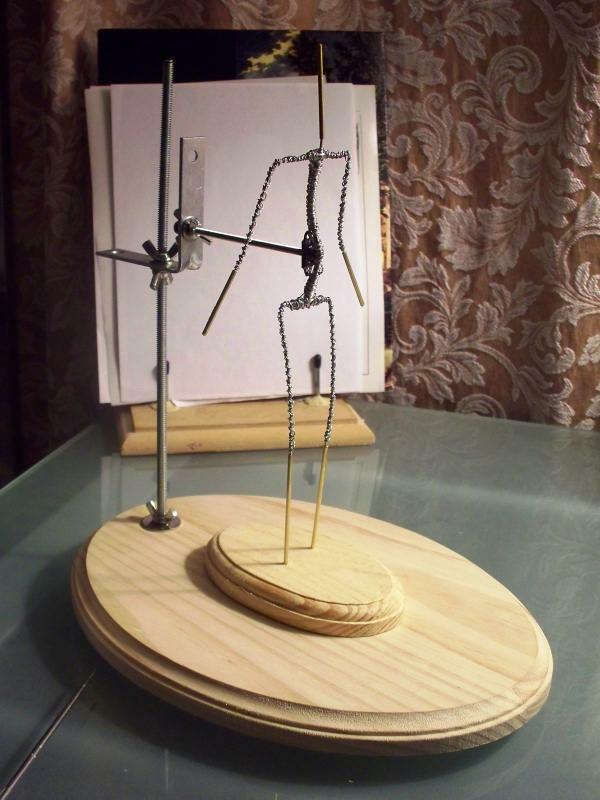 We also sell the stand metal hardware (without wooden part), if you want to make your own wooden base. 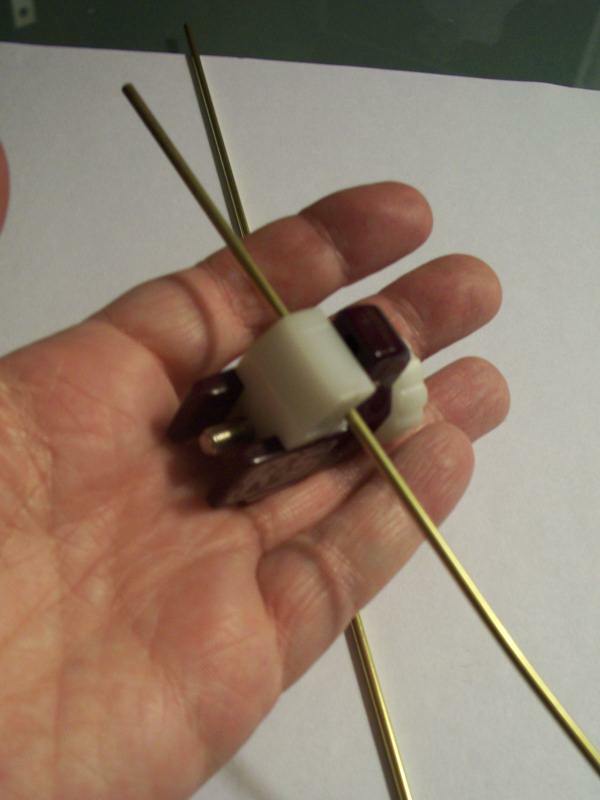 – brass tube cutter (optional, if you decide to make brass modules) – to cut a piece of tube. 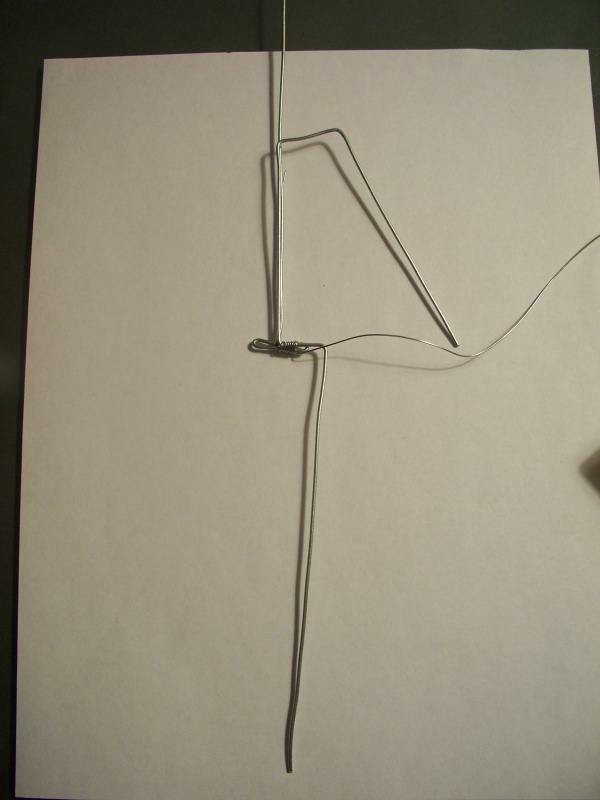 The cutter cuts the tubing and leaves the opening hole intact. 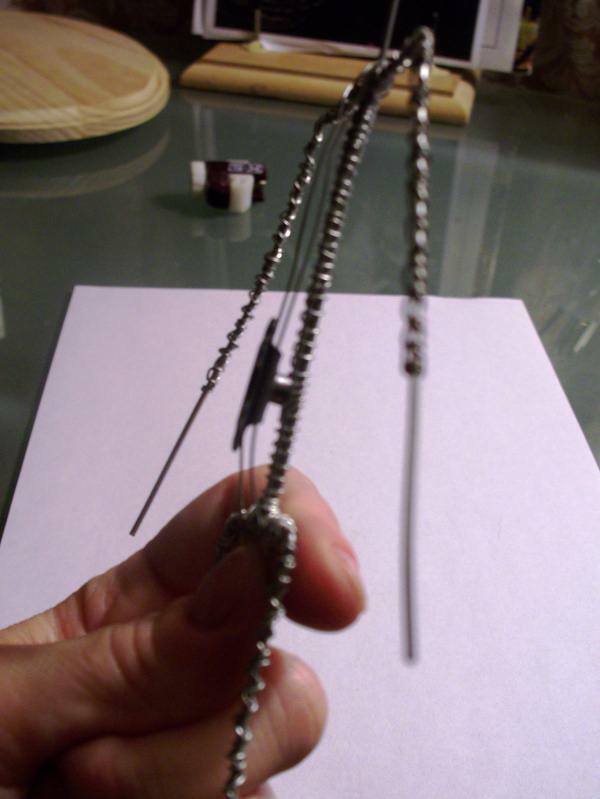 Other tools can be used to cut the tube (like wire cutters), but the end of the tube gets flattened with wire cutters. 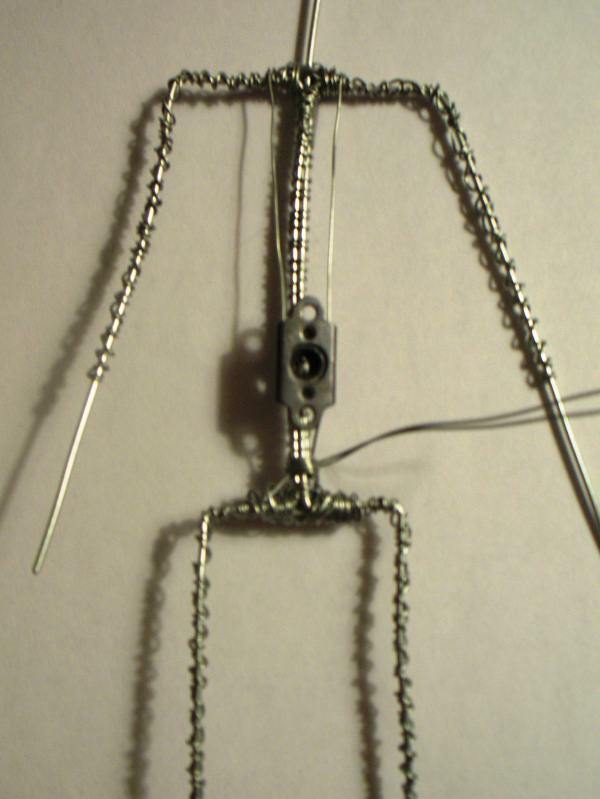 Here you can see, the thin wire wrapping stops at the knees and elbows – to allow for brass modules. 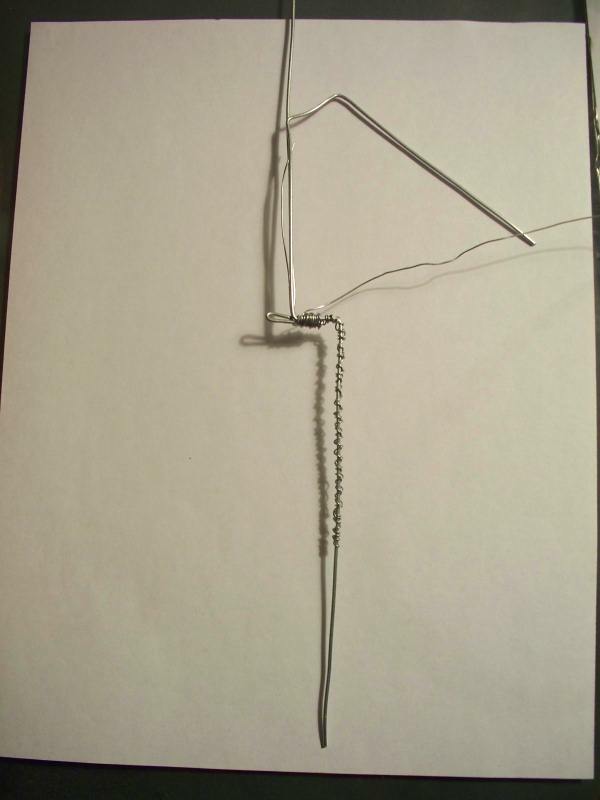 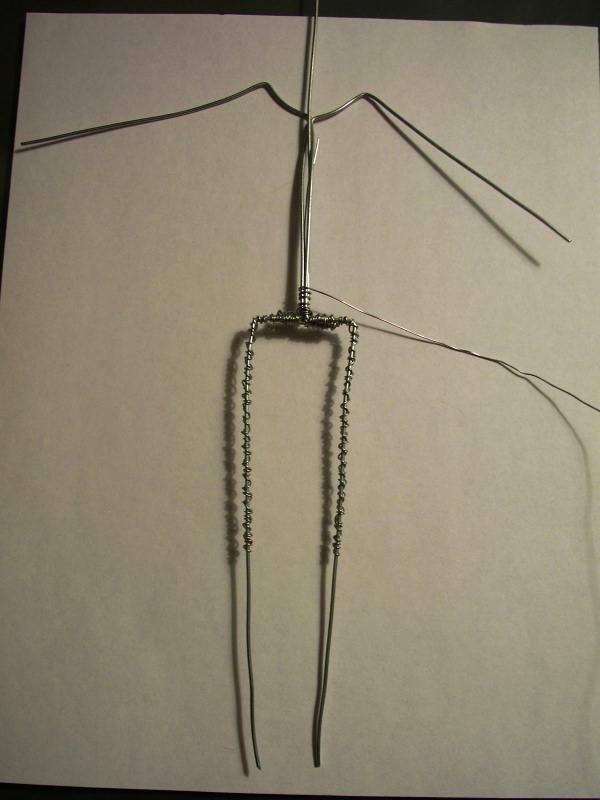 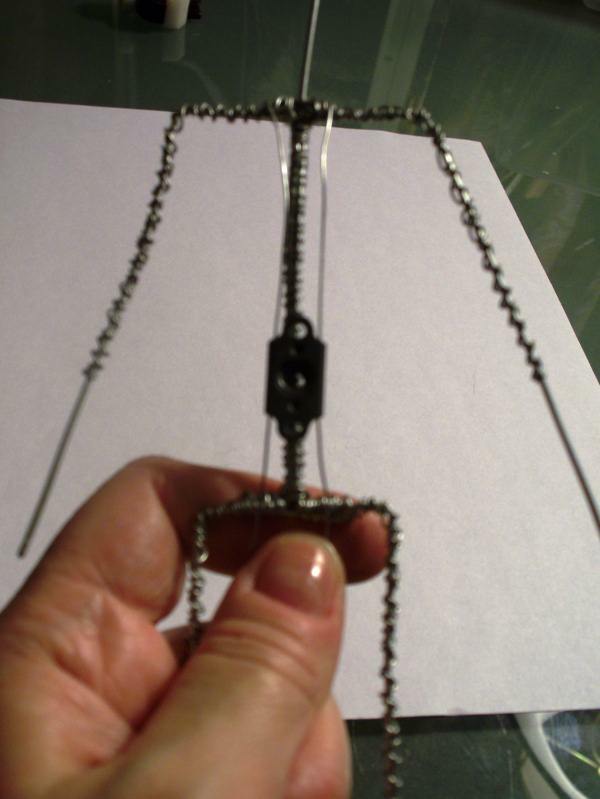 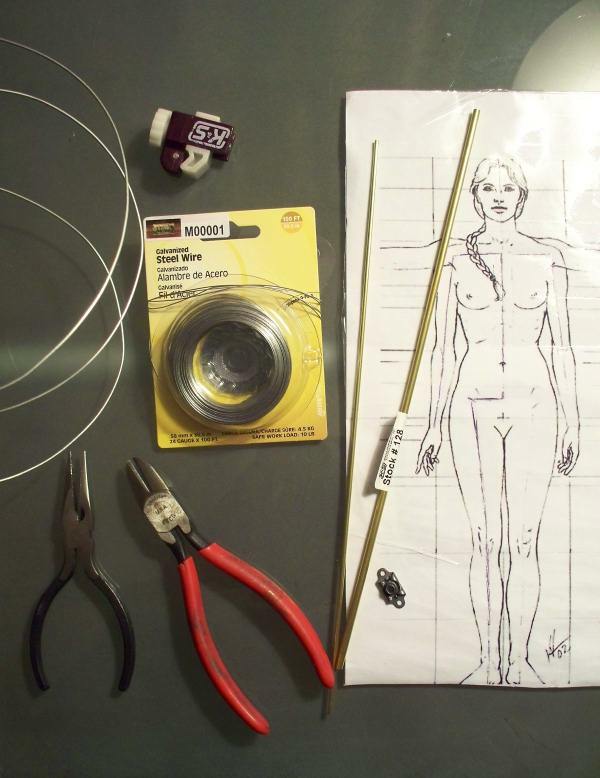 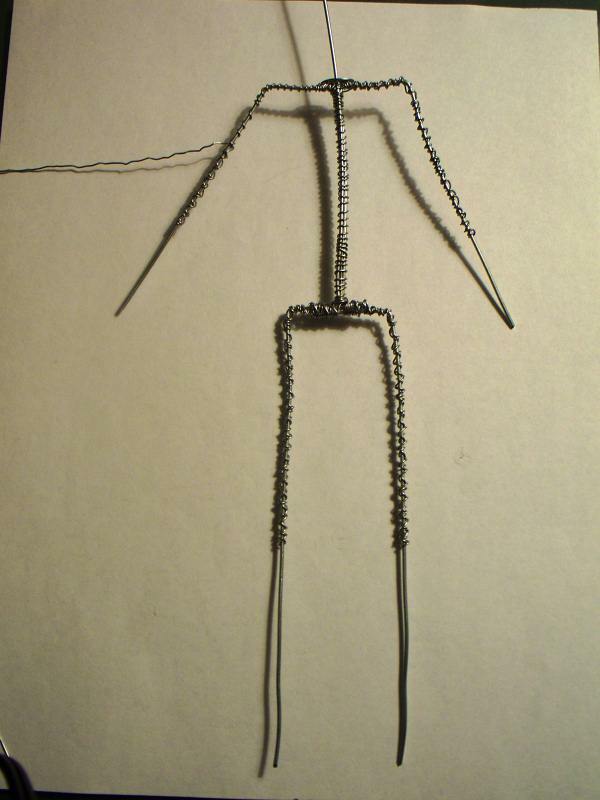 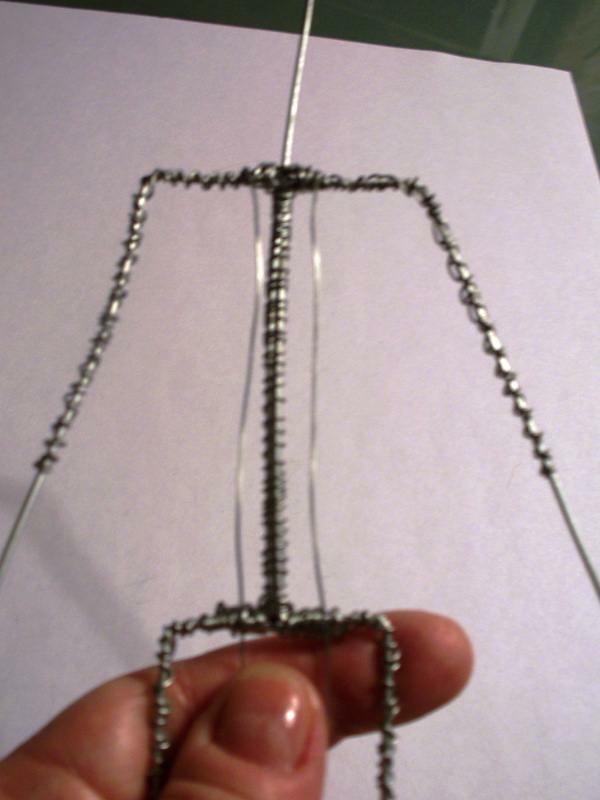 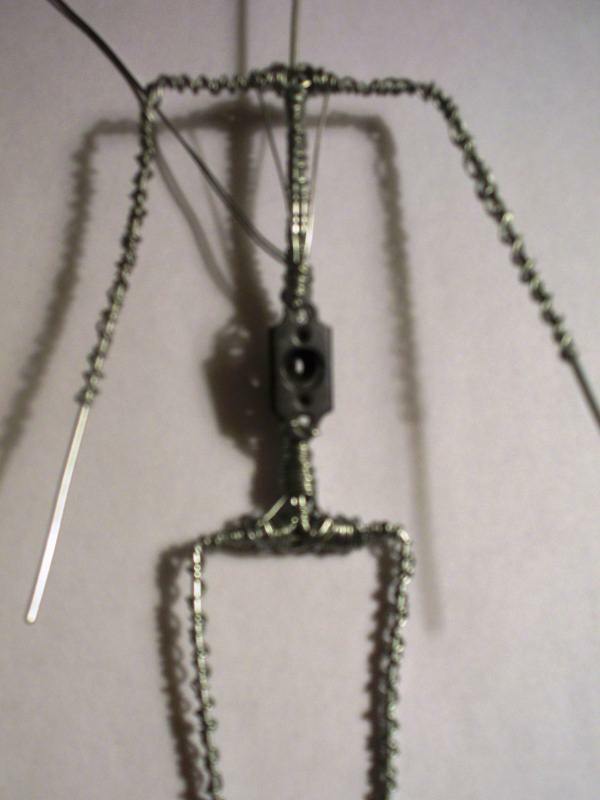 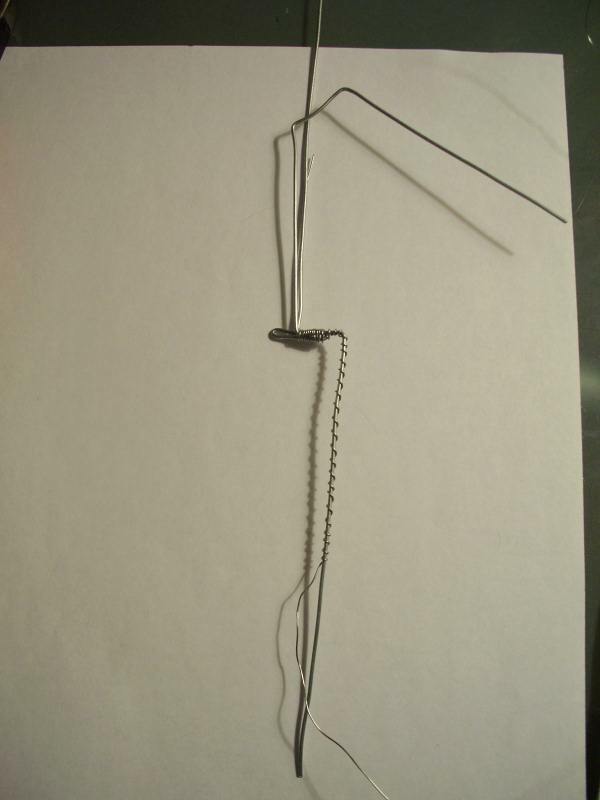 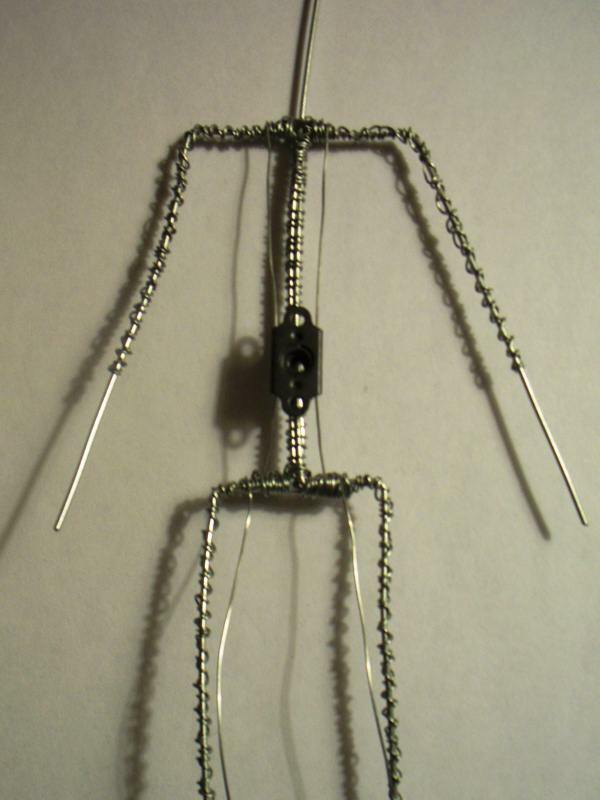 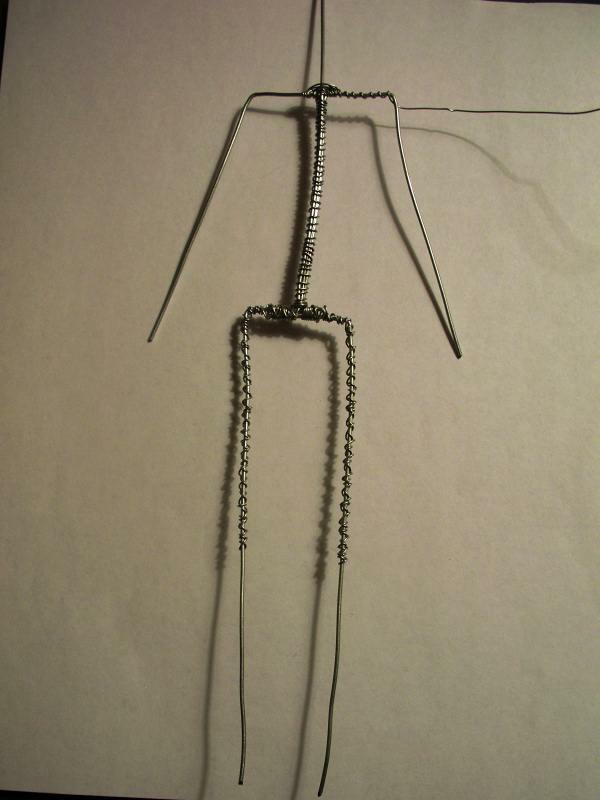 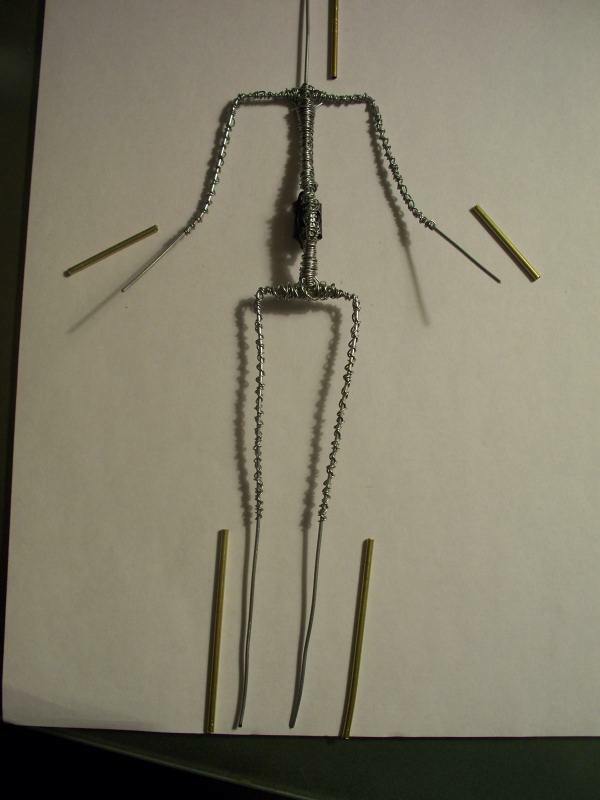 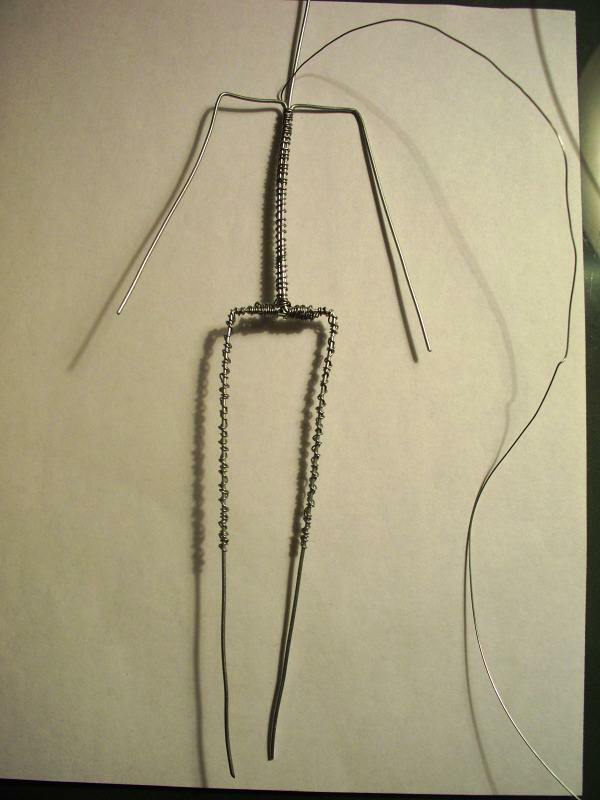 If you are making a one-piece armature (no modules), continue wrapping the thin wire over the thick wire all the way to the end of the legs and arms and head. 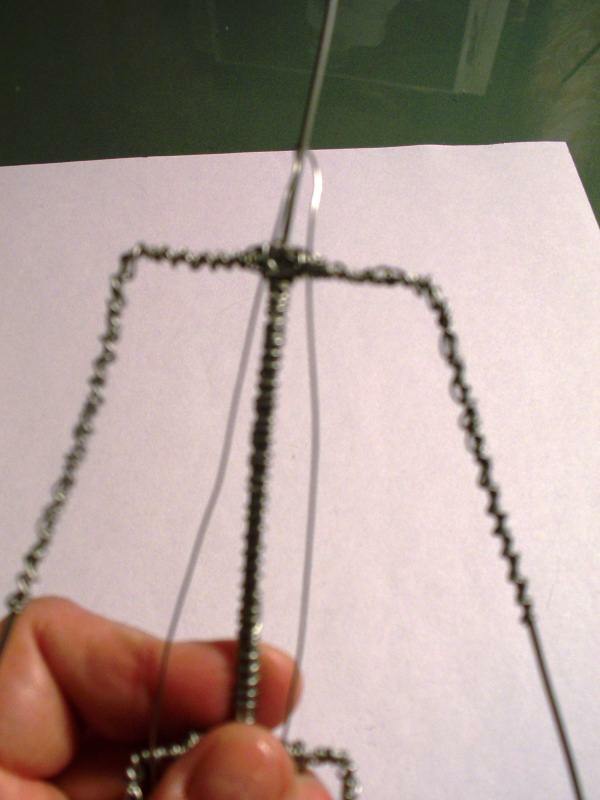 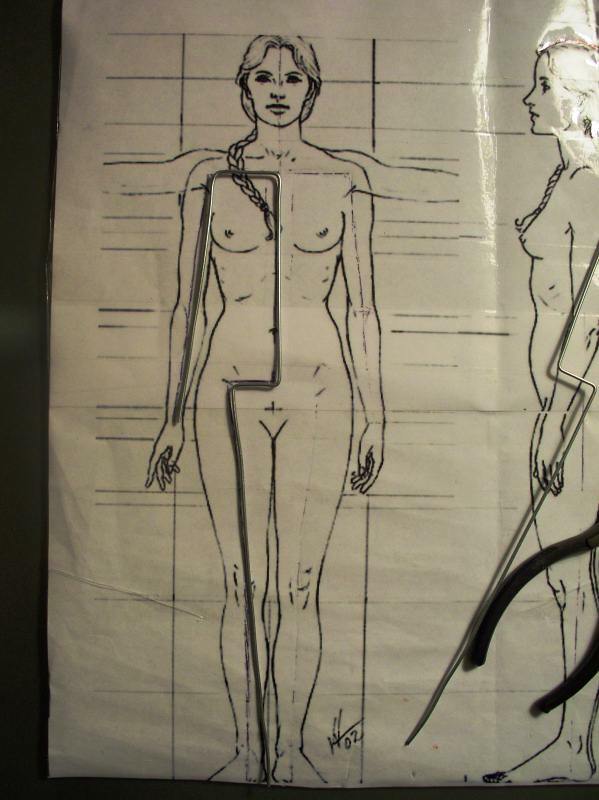 The thread on the horizontal arm is 8-32. 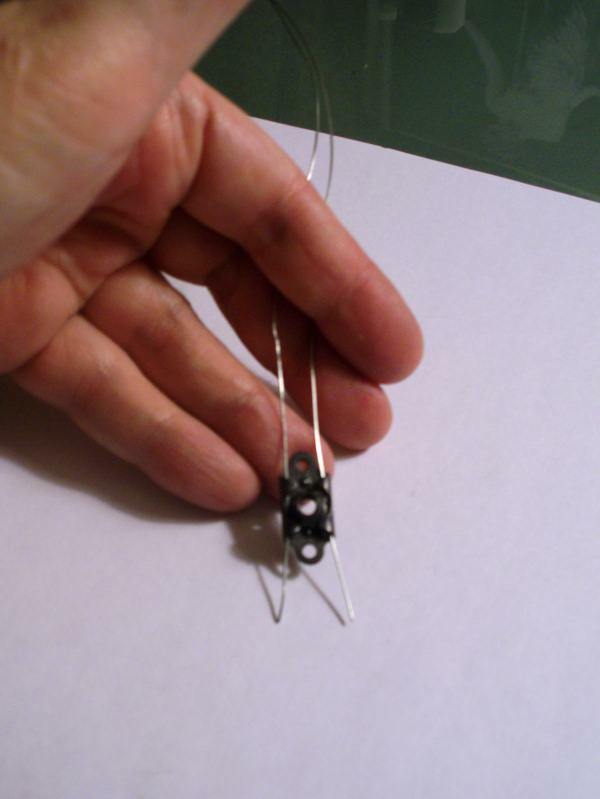 You can use any nut or nut plate that you can attach with the wire. 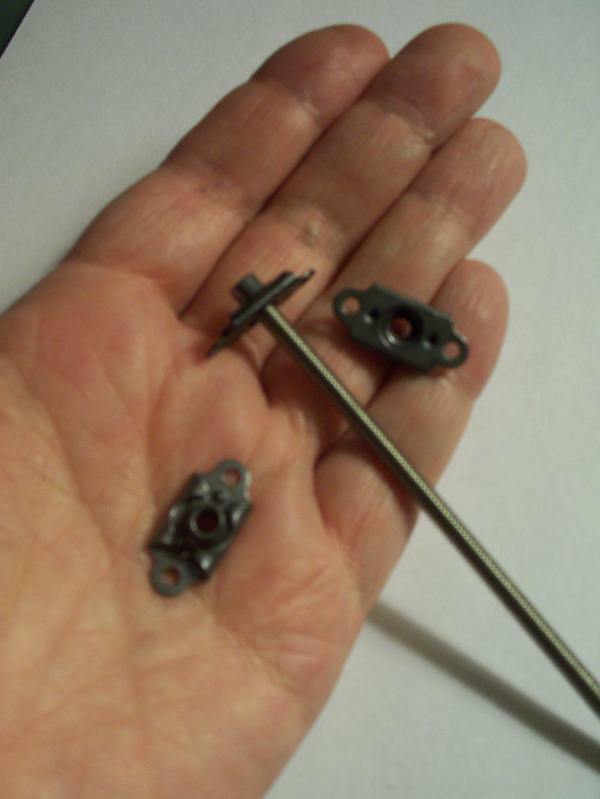 I tried hex nut, barbed nut, t-nut and wing nut, they are hard to attach and wobbly. 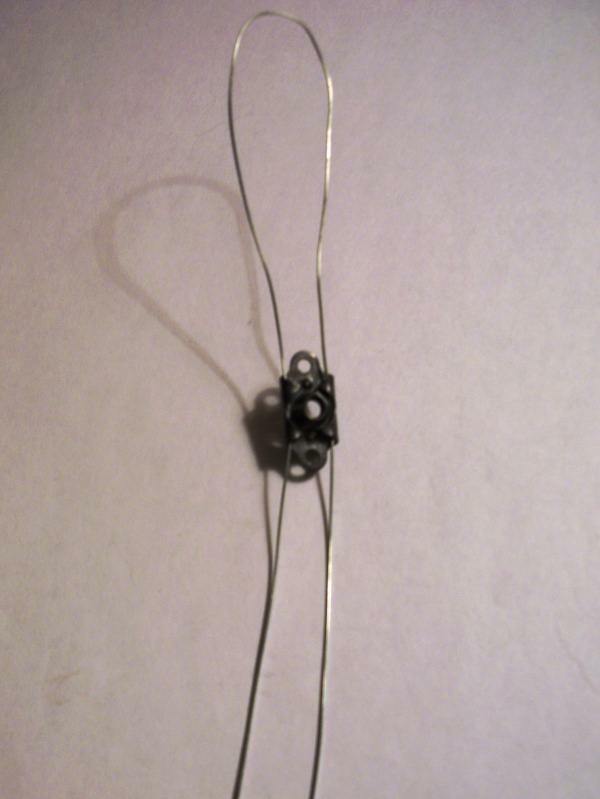 Then I found this self-locking nut with two holes and also “channels” for wire. 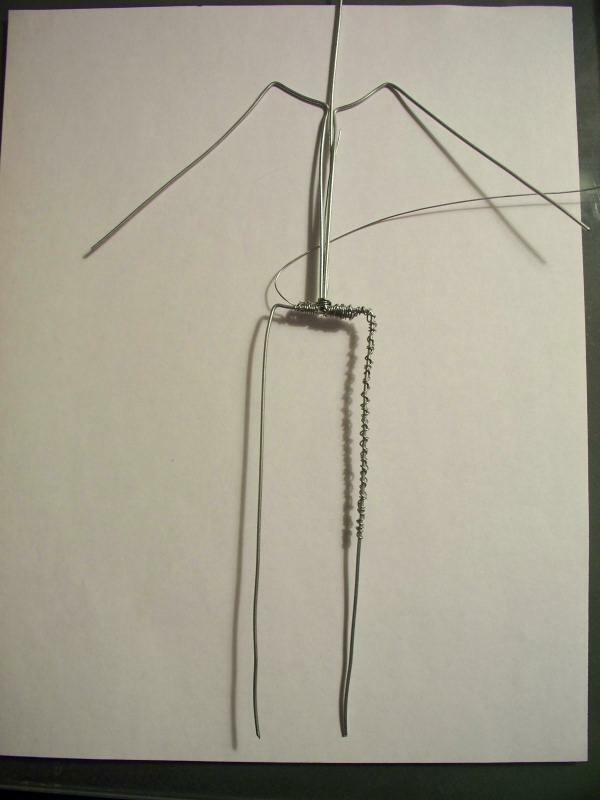 It is the best because it can be threaded with the wire and tied to the armature very securely.